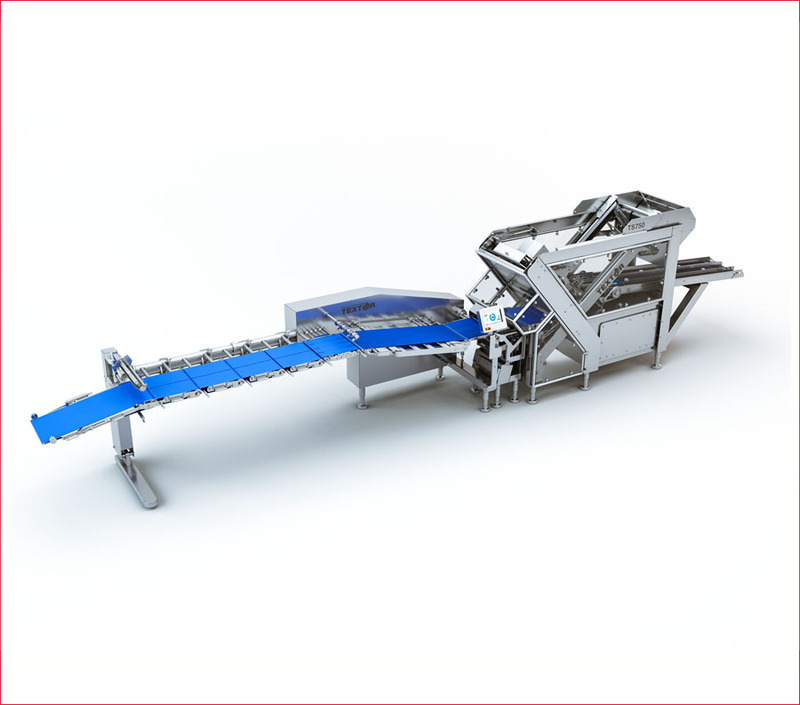 The TEXTOR CPL is an automatic loader that creates the die formats for the packaging machine, buffers these as necessary and then places them automatically in the packaging machine. All belts are powered by speed-controlled servo motors. The transport equipment can be easily removed for cleaning. 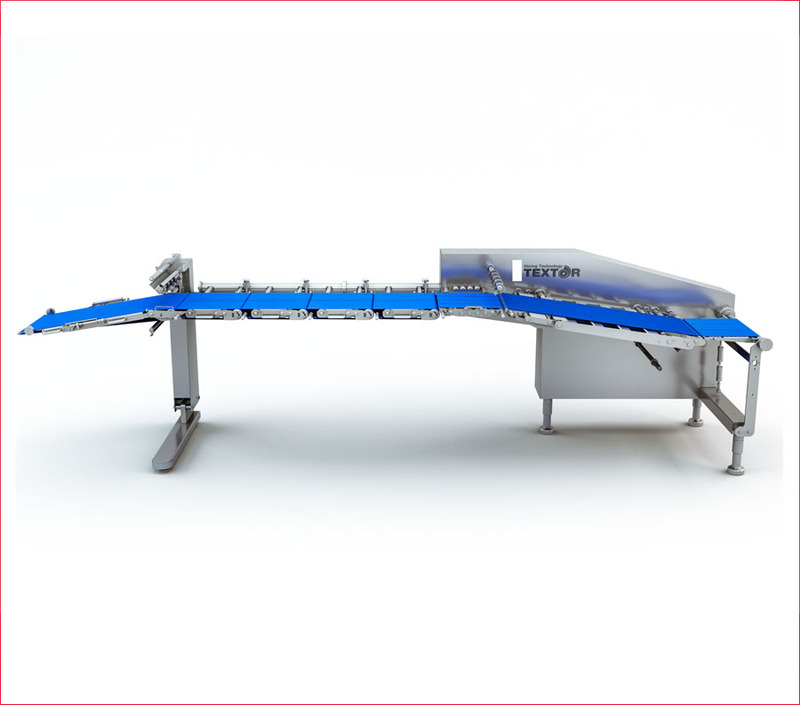 The TEXTOR CPL is an automatic loader that creates the die formats for the packaging machine, buffers these as necessary and then places them automatically in the packaging machine. All belts are powered by speed-controlled servo motors. The transport equipment can be easily removed for cleaning. The photoelectric barriers are shock-protected. 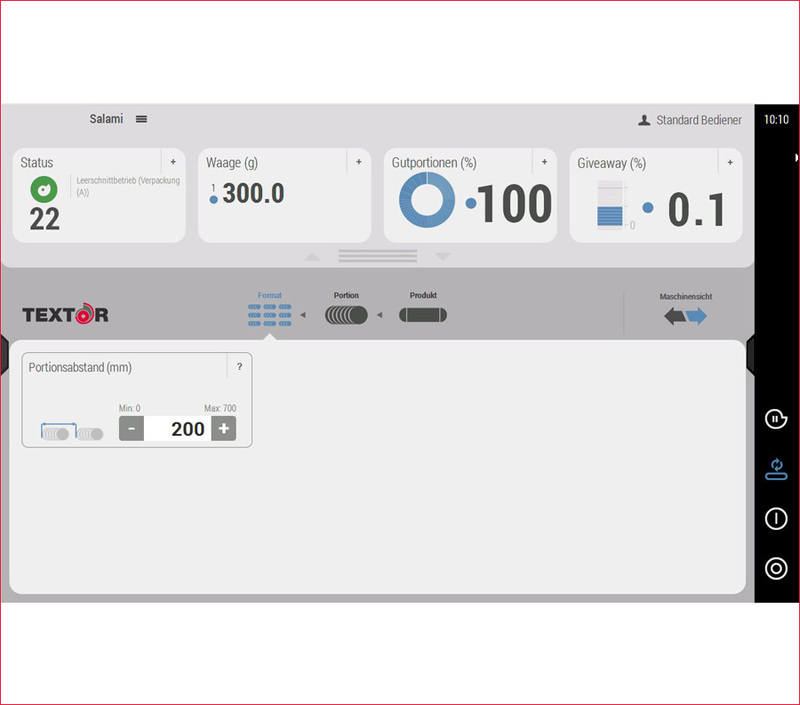 The TEXTOR CompactLoader has its own controller, which is linked to the machine controller. The visualization, program management, parameter management and operating functions of the CompactLoader are also integrated into the slicer display.